Ningbo is one of China’s oldest cities facing the East Chinese Sea. Outside China, Ningbo is known for its large seaport. The urban population is about 2.2 million people. Ningbo Lishe International Airport has flights to the main cities in China, Taipei and an international flight to Seoul. The airport is 15km from the city centre. Fare for a taxi to the city is about 45 Yuan. The airport bus stops at the Central Bus Station, South Train Station and at the Civil Aviation Office in Xingning Road. Fare is 12 Yuan. Ningbo South Railway Station is in the city center. 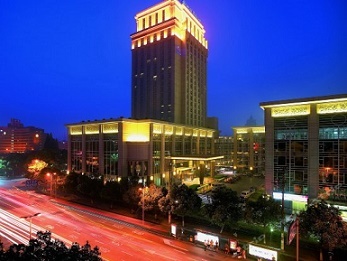 – Central Bus Station: through buses to Nanjing, Suzhou, Changzhou, Wuxi, Nantong, Hefei, Wuhan and many other cities. Modern exhibition hall located at the center of Ningbo City. Taxis can be found near the South Gate square of the exhibition center. People who visit the International Consumer Goods Fair can often travel with free shuttle buses from/to their hotels. 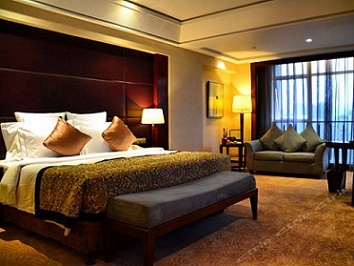 Hotels near the exhibition center: New Jingdu Hotel, New Century Hotel, Yongang Hotel, Xinzhou Hotel, Portman Plaza Hotel, Jinding Hotel, Jindin Hotel, CITIC International Hotel, Mirage Hotel, Ningbo World Hotel, Golden Port Hotel, New Wenyi Hotel, Spring Hotel, Sun and Moon Hotel.